The roster sheet that I had listed his name as Kerry, but the baseball card I brought with me said his name was Keith. I took a gamble and called out "Keith" thinking that was what everyone else calls him. WRONG! His teammates erupted into laughter and began mockingly calling him Keith. Turns out this was an error card that was never corrected. Sorry, Kerry. 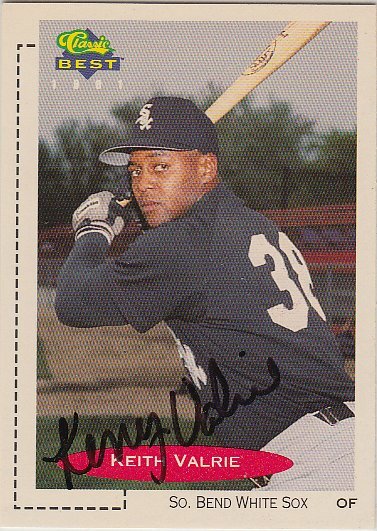 Kerry signed a 1991 Classic Best card #243.